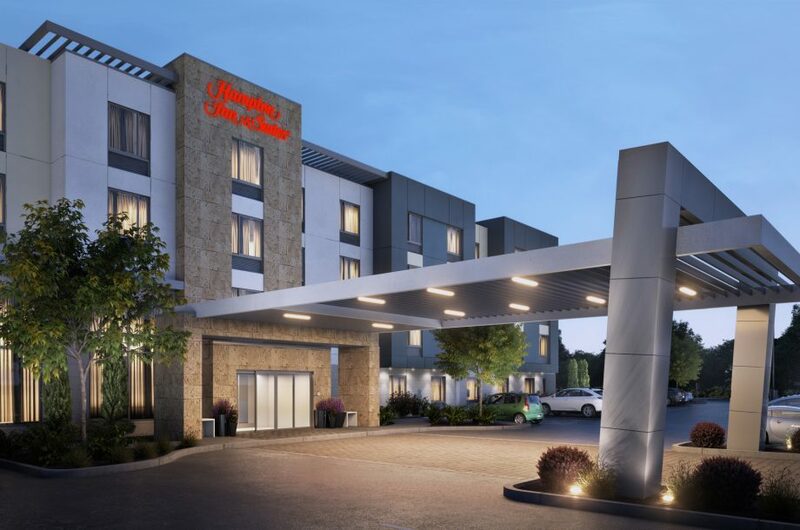 DesignCell Architecture is pleased to announce that we broke ground earlier this month on a Hampton Inn & Suites by Hilton in Imperial Beach, California. The 4-story, 62,000 square foot hotel will include 100 guest rooms as well as a fitness center, swimming pool, outdoor fireplace and seating area, a full service bar and on-site parking. Located at the west end of the Breakwater Town Center development on Palm Avenue, this Hampton Inn & Suites is accompanied by adjacent commercial buildings of approximately 45,000 square feet of restaurants, various small businesses and a grocery store.